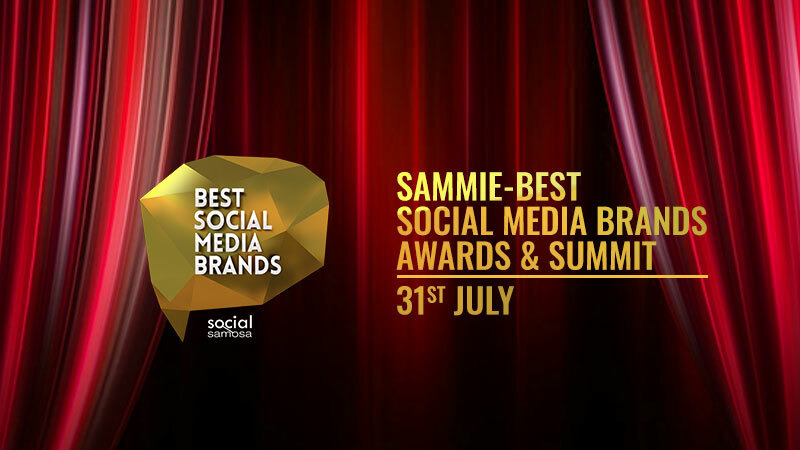 The stage is set as we gear up to honour human brands that created path-breaking work in the digital spectrum at one of the biggest social media marketing accolades, SAMMIE – Best Social Media Brand (BSMB) 2018. 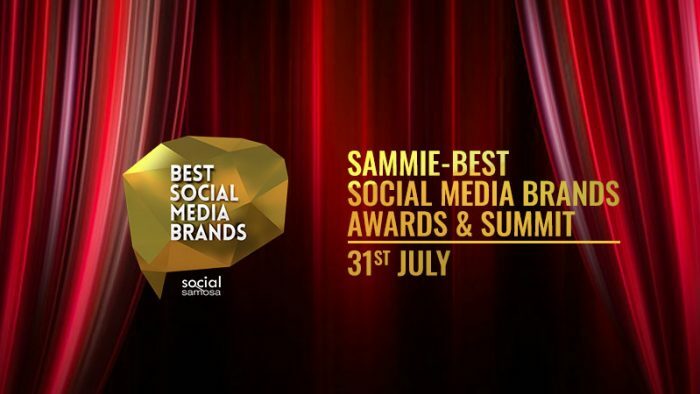 The battle finally culminates on July 31, 2018 – Tuesday as Social Samosa announces the winners of the SAMMIE this year! Taking it to the next level, Social Samosa takes pride in announcing Best Social Media Brands Summit – a knowledge sharing platform where best of the best will take the stage. Discussing upcoming trends, challenges, opportunities and more these industry honchos are all set to share insights through intense debates, healthy discussions, workshops and more on July 31,2018 – Thursday at The Westin, Goregaon! At sharp 7 pm, Siddharth Banerjee will take onto the stage delivering a jury chair address followed by a keynote address by Subhash Kamath, CEO & Managing Partner, BBH India on Creativity vs Artificial Intelligence. Brace yourselves as the dias will be further taken over by Virginia Sharma, Director – Marketing Solutions, India at Linkedin who will be delivering the next keynote on What Amelia Earhart, Warren Buffett and Jessica Jones can Teach us about Content Marketing? Followed by exciting award distribution a Panel Discussion on Growth Hacking: Reality v/s Perception? How to win against agile and hungry competition will take place with eminent speakers such as Apurva Chamaria, CRO, RateGain & best selling author, Siddharth Banerjee EVP Marketing – Vodafone, Shoma Narayanan, Head – Marketing at HSBC India, and Kartik L Jain, Executive Director Digital Bank @ DBS Bank. Next will be a Masterclass by Bhaskar Ramesh, Head of Sales and Brand Advertising at YouTube India on Winning in the Video First India. The summit concludes with a set of industry experts including Malini Agarwal, Co-Founder, MissMalini.com; Vyom Charaya, Director Brand Solutions, TVF; Hitesh Pardeshi, Head-Filtercopy, Pocket Aces, joining us on the stage for a Panel Discussion on ‘The Content and Influencer Marketing Journey – From an Impression to Influence and Advocacy’. Join us for one of the most historic celebrations for the Indian Social Media Industry, write to us at team@socialsamosa.com for an invite or register here. Best Social Media Brand Awards & Summit are held in association with QuickMetrix as Social Media Analytics Partner, AliveNow as Creative Technology Partner, Sillymonks as Associate Sponsor, Treize Communications as PR Partner, 24Frames as Online Streaming Partner, and Arshvi Innovative Services as Event Partner.